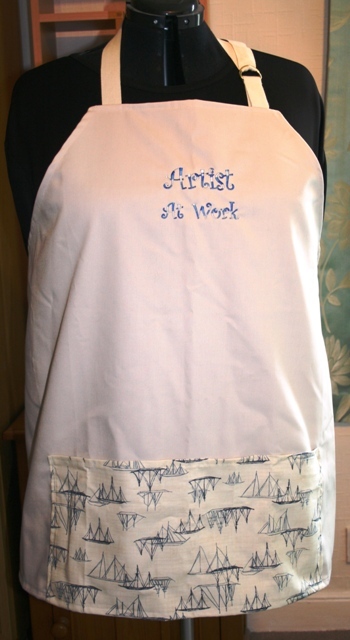 A quality, hand made Apron, in a strong, stne coloured, cotton drill, with decorative pocket, divided into 3 sections, in a ship design fabric. 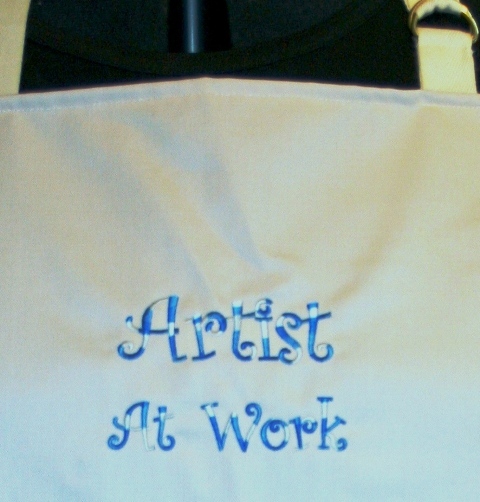 The apron has been machine embroidered, with the words "Artist at Work" on the chest area in blue's. 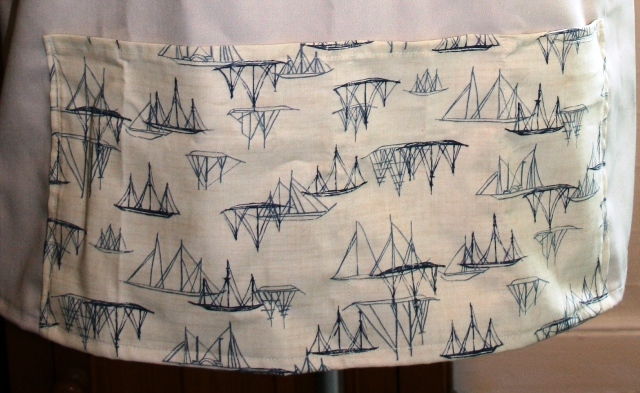 It has two long waist ties and an adjustable neck tie by means of D-Rings. This will fit approx sizes up to an Extra Large.